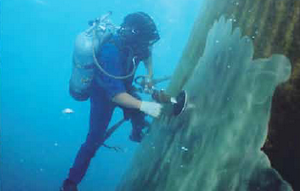 Albwardy Diving Services is headquartered in Fujairah and from there offers services to all other UAE ports and anchorages. Albwardy Diving Services is headquartered in Fujairah and from there offers services to all other UAE ports and anchorages. ADS is equipped with the latest equipment required for hull cleaning, propeller polishing, underwater hull inspection and class approval surveys.